Home MMA News Jon Jones Claims He’d Never Reply Chuck Liddell Callout Again! 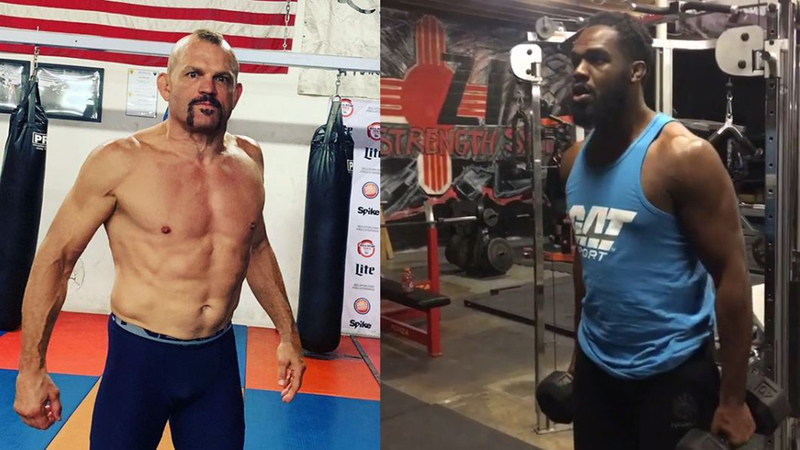 Jon Jones Won’t Respond To Chuck Liddell Callout Ever Again! Jon Jones and Chuck Liddell are both former UFC champions. Their verbal confrontation started in May 2018 when “The Iceman” said he’d like to face Jon Jones one day in an episode of an MMA hour. Jones openly invited Liddell to come and get the fight. He even shared his location. Jon Jones also reminded Liddell he should “test the strength of his jaw in the first place”. Jon Jones then made a joke out of Chuck’s age, claiming he “can’t fulfill his wish until the mid of 2019”. But then Liddell wrote “Bones” could learn “from a real legend and champion”. Chuck Liddell also looked back at Jon’s “life outside the cage”. Here is Liddell’s full message. Look at Jones’ response below. @ChuckLiddell Brother I don’t have to be retired to be a legend first of all. And you talking to me about conducting my life outside the cage is just hysterical. Chuck we all know you’re far from innocent. But Jones slammed the door shut. He posted a Wikipedia screenshot with Liddell’s results! Let’s remember, before Saturday night, Chuck Liddell was defeated in his last three UFC fights. He lost to Rashad Evans, Mauricio “Shogun” Rua, and Rich Franklin. Jon Jones then invited “old man” Liddell one more time to come to Albuquerque if he has something else to say. After Liddell’s loss to Tito Ortiz at Golden Boy MMA 1 on Saturday night, “Bones” replied to a Twitter comment related to potential Jones Vs Liddell fight. Jon Jones officially confirmed that he was not interested in Chuck’s callout again. His old rival Rashad Evans worked as an analyst at Liddell Vs Ortiz 3 broadcast. Let’s remember, the two fought at UFC 145 on April 21, 2012. “Bones” won via unanimous decision and successfully defended UFC Light Heavyweight title. “The Suga” questioned whether Jon Jones was clean for the clash versus Ovince Saint-Preux at UFC 197 on April 23, 2016. Jon Jones called Evans out because of that. You can read the stunning response below. Despite Jones was positive for banned substances two times, he said Rashad’s theory made no sense at all! What are your thoughts on this beef? Chuck Liddell is unsure about the retirement at the moment. On the other side, Jon Jones is set to fight Alexander Gustafsson for the UFC Light Heavyweight title on December 29, 2018. Do you believe he can become the champion once again? Previous articleGolden Boy Officials Spoiled Tito Ortiz “Gravedigger” Celebration!